Your tour will begin in the heart of Miami’s Cuban community. We’ll check out some historic architecture, as well as a few unique art collections, and you’ll hear stories from first-generation immigrants. After a bit of exploring, we’ll grab a cortadito(Cuban espresso) and a traditional pastry to keep us moving. We’ll also see the Bay of Pigs monument on route to a local juice bar, where you’ll quench your thirst with a sugarcane or mango juice. You’ll experience the Caribbean flavor that fills the air, from the classic Domino Park where locals challenge one another to domino games, to the conga music that’s played in the streets. We’ll make our way to one of the neighborhood’s favorite watering holes for a taste of a classic mojito before starting the next phase of our tour: a walk through Wynwood. 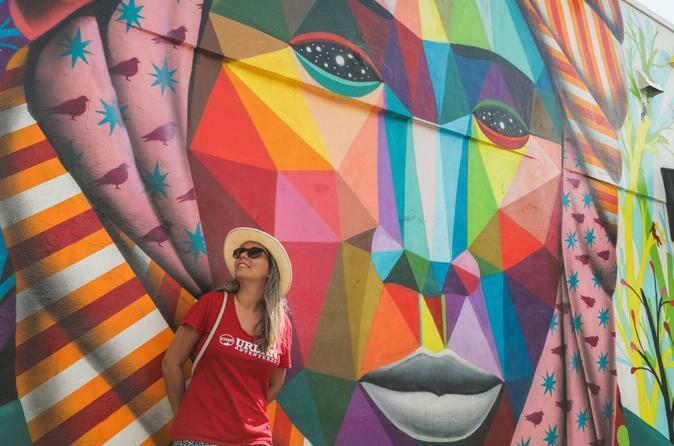 Your local guide will help you to secure a taxi, Lyft or Uber to the next portion of your tour in Wynwood, where you’ll see iconic murals, mosaics and graffiti art. We’ll also stop at galleries featuring fine art, pop art and contemporary art from notable artists. We’ll visit a trendy brewery to test out a beer made in-house and you’ll learn about the history of beer in Miami. After that, we’ll take you past a local coffee shop that roasts their own coffee, and stop at a popular spot for a tasty snack. We’ll also grab one more beer in one of the best atmospheres in Miami. After your beer, it’s another taxi, Lyft or Uber ride to South Beach, where you’ll discover the local side of this touristy neighborhood. You’ll hear the immigration story of South Beach, both past and present, as you learn how this place evolved into the trendy place it is today. We’ll fuel up with some food in the form of a spicy Haitian dish, or maybe some Cuban street food, or maybe a South American snack before strolling down Collins Street. It’s here that you’ll discover Art Deco architecture and get a feel for the character that uniquely defines Miami Beach.